On May 18, 1897, Bram Stoker published his seminal book ‘Dracula‘ in London and established one of the most influential genres in fantastic literature by introducing the Transylvanian blood sucker. Nowadays most people don’t know that identifying Dracula with the historical Vlad Tepes — called Vlad the impaler — was completely made up by Stoker himself. Oh, obviously Vlad Tepes was anything else but a nice guy, as you might look up by yourself in Wikipedia. But, of course he did not drink blood. The vampire on the other side came from legends of the Balkans and Eastern Europe. And vampire literature dates even further back to John Polidori‘s 1819 published novell ‘The Vampyre‘. But the very first striking and still ongoing success is Bram Stoker’s Dracula. Bram Stoker was bornon November 8, 1847, as the third of seven children in Marino Crescent (then in Clontarf near Dublin, now Dublin-Fairview). He was ill until the age of seven and could neither stand nor walk alone. This traumatic experience is reflected in his literary work. Eternal sleep and the resurrection of the dead, the central theme of Dracula, were therefore of great importance to him. Not only his illness was a mystery, but also his recovery was a miracle for his doctors. 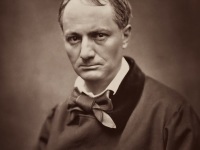 Interestingly, he then became even an athlete and football star at Trinity College in Dublin, where he studied history, literature, mathematics and physics from 1864 to 1870. Next, he became a civil servant at the Department of Justice in Dublin Castle, where his father also worked, which did not satisfy him. During this time Stoker wrote a handbook for magistrates’ courts or petty courts. He worked as a journalist and theatre critic and wrote articles for Dublin University Magazine. 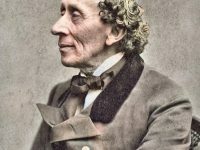 His interest in theatre led to a lifelong friendship with actor Henry Irving. In 1878 Stoker married Florence Balcombe, a neighbour from Clontarf, who was also courted by Oscar Wilde. He moved with her to Chelsea, London, where he worked as manager of Irving’s Lyceum Theatre. Through his work for Irving, he was introduced to London’s high society, where he met James McNeill Whistler and Sir Arthur Conan Doyle, among others. Following Irving, Stoker travelled the world. 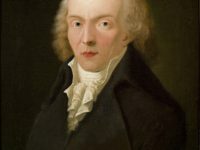 In addition, he improved his income as an author of books. In 1890 Stoker met the Hungarian professor Arminius Vámbéry, who told him about the legend of the Romanian prince Vlad III. Drăculea (Drakula). From this character Stoker developed the figure of the vampire Dracula. Stoker worked on this vampire novel for seven years until it was published on 18 May 1897. Dracula followed a whole series of stories about vampires, which became a popular topos of literature in Romanticism and later in the 19th century. In addition, he is assigned to the genre of the horror novel because Stoker uses elements such as old castles, ancestral curses and supernatural appearances in his novel. Stoker was particularly influenced and impressed by the story Carmilla by the Irishman Joseph Sheridan Le Fanu. Stoker’s novel was initially to play in Styria and in an introductory chapter he let his protagonist Jonathan Harker discover the tomb of the vampire. However, Stoker chose Transylvania. 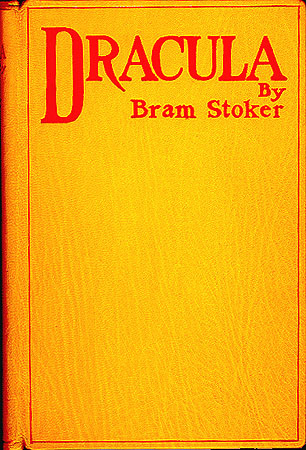 The introductory chapter was taken out and later published as a short story under the title Dracula’s Guest. Stoker also moved the plot because he wanted to refer to the historical figure of Vlad Țepeș, whom he transformed into a character in a novel. However, the assumption that Stocker really chose Tepes as role model for his vampire is not undisputed. Bram Stoker has also published the book The Land beyond the Forest. Facts and Fancies from Transsylvania (Edinburgh and New York 1888) by Scottish travel writer Emily Gerard.There she describes the legendary figure Nosferatu, whom she translates as undead. Three years earlier, she had already reported on the popular beliefs of the inhabitants of Transylvania in a magazine. 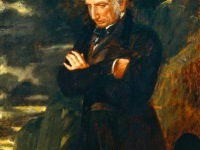 In the appearance of his literary figure, Stoker was inspired by the features of the Shakespearean actor Henry Irving, of whom he was an agent. Why he gave the adversary of Dracula, van Helsing, his own first name (Abraham) of all things, would be interesting to question from a psychoanalytical point of view. The Hungarian orientalist Armin Vambery, with whom Stoker was known and from whom he came across the character of Vlad Țepeș, was even trained by the author as the liaison man van Helsings in the novel. 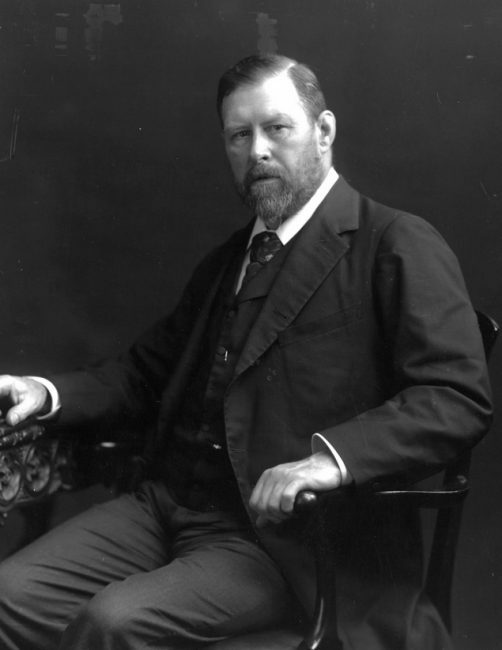 Bram Stoker did not live to see the great success of his novel Dracula. He died in London in 1912 after several strokes in financially modest circumstances; some sources cite overwork as cause of death. However, throughout his life Stoker has never been to the “exotic” places of his novel. He therefore carried out extensive research and searched through libraries and archives, especially those of the British Museum. As documents he used military maps, vampire legends (avoid sun/garlic, long teeth, drink blood) and reports of English travellers. His research was so precise that even the train schedules mentioned in the novel corresponded to reality. This and other data he took from a then common travel guide, the Baedeker for Austria-Hungary. Despite all the meticulousness, Stoker made massive mistakes in terms of geography and history. Thus he made Dracula a Szekler, although the historical prince was a voivode of the Principality of Wallachia and could have been located more in the Southern than in the Northern Carpathians. He also described the Transylvanian landscape more gloomy than it really is. Dracula was not an immediate bestseller when it was first published, although reviewers were unstinting in their praise. According to literary historians Nina Auerbach and David J. Skal in the Norton Critical Edition, the novel has become more significant for modern readers than it was for Victorian readers, most of whom enjoyed it just as a good adventure story. It reached its broad and iconic status only later in the 20th century when the movie versions appeared. It did not make much money for Stoker. In the last year of his life, he was so poor that he had to petition for a compassionate grant from the Royal Literary Fund, and his widow was forced to sell his notes and outlines of the novel at a Sotheby’s auction in 1913, where they were purchased for a little over £2. But then F. W. Murnau‘s unauthorized adaptation of the story was released in theatres in 1922 in the form of Nosferatu. Stoker’s widow took affront and, during the legal battle that followed, the novel’s popularity started to grow. As for the English speaking audience, you might watch Sir Christopher Frayling giving a talk about ‘The nightmares of Bram Stoker‘.